Sign-up using the form or call us at 219-769-7787 today! Your experts in chiropractic, acupuncture, rehab, and nutrition! Located in the heart of Merrillville, the leading health professionals at TRUE HEALTH are dedicated to helping you achieve your wellness objectives -- combining skill and expertise that spans the entire wellness spectrum. Drs. Jeremy Turley and Debra Corum are committed to bringing you better health and a better way of life by teaching and practicing the true principles of wellness care. Patients seeking treatment at TRUE HEALTH with Drs. Jeremy Turley and Debra Corum are assured of receiving only the finest quality care through the use of modern chiropractic equipment and technology, acupuncture, physiotherapy modalities, and other forms of wellness counseling. The entire True Health team have a genuine concern for your well-being! 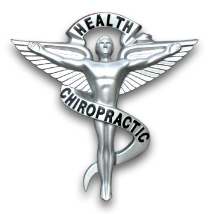 If you are new to our website, please feel free to discover and learn about chiropractic, acupuncture, and wellness. If you are interested in starting your journey towards wellness please subscribe to our award winning newsletter. If you are already a newsletter subscriber, please explore the member wellness section of our website for wellness articles, resources, and health facts---specifically targeted by Drs. Jeremy Turley and Debra Corum to your wellness needs and interests. Dr. Turley is one of the Chiropractic Physicians at TRUE HEALTH. He is originally from the south side of Chicago where he spent most of his youth until he moved into the south suburban area to finish out his last two years of high school. During this time, Dr. Turley had aspirations of becoming an orthopedic surgeon and sought out this profession early on while attending the University of Illinois at Champaign/Urbana. However, these aspirations would change when he was introduced to Chiropractic during a presentation while sitting in a professional development class. Dr. Corum is one of the Chiropractic Physicians at True Health. She is originally from Champaign, Illinois and this is where she spent her entire childhood on her family's farm. During high school, Dr. Corum began experiencing back pain due to the poor quality of the seats/desks in high school. She was introduced to a local Champaign Chiropractor and began receiving treatments. ""My visit to True Health was a wonderful experience. After suffering from bad headaches all the time, within a few visits with Dr. Debra - they were pretty much gone . I would highly recommend anyone with headaches or any kind of back and/or neck pains to visit True Health.""